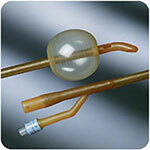 The Bard Medical 400 Series Urotrack Catheter 5cc 16 FR are used to accurately measure core body temperature in the bladder. The Bard Medical 400 Series Urotrack Catheter 5cc 16 FR are used to accurately measure core body temperature in the bladder. 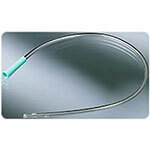 These catheters are available in latex or latex-free with a range of French sizes and coatings. connector. The 400-series temperature sensing Foley catheter is for use with patient monitors requiring 400-series temperature probes including the Bard® Criticore® monitor. Allows for convenient and continuous core body temperature monitoring to help maintain normothermia. 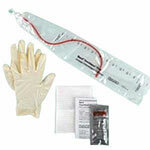 Maintains a closed system and eliminates invasive probes to maximize patient safety.